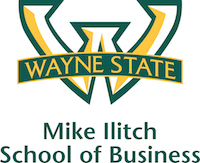 http://ilitchbusiness.wayne.eduThe Wayne State Board of Governors has approved three promotion and tenure cases from the Mike Ilitch School of Business, effective August 17, 2017. Ranjan D’Mello was promoted to full professor of finance. D'Mello joined the Wayne State faculty as an associate professor in 2001. He has published 18 articles on a broad spectrum of corporate finance topics in high-quality journals, continuing an active research agenda and publication stream since achieving tenure in 2003. He is among the top 5 percent of finance doctoral graduates nationwide who have published at least one article per year in any finance journal over a prolonged period of time. D'Mello also has shown dedication on the teaching front. He has led courses at all levels, from undergraduate to Ph.D., with impressive course content, rigor and student evaluations. He has contributed meaningfully to the finance doctoral program by chairing and serving on dissertation committees. He has won the Ilitch School's Teacher of the Year Award twice. From a service perspective, D'Mello has always been willing to volunteer at the department, school and university levels. He also gives back to the profession as a journal referee on a regular basis. According to Sudip Datta, chair of the finance department, "Professor D'Mello has always strongly advocated, without compromise, for maintaining the quality of our students, faculty and academic programs." Andrea Tangari was promoted to associate professor of marketing with tenure. She joined the Wayne State faculty in 2010. She has published 16 articles in respected journals, is frequently cited, and she has achieved an exceptional research record with national stature both the general field of marketing and her specific domain of marketing and public policy. Her research focuses on consumer welfare and how consumers make use of product information, in particular concerning health issues and environmental consumer behavior. Tangari's strong teaching record is evidenced in her student evaluation scores for both undergraduate and graduate courses. She primarily teaches MKT 6996, the undergraduate marketing capstone, and also designed and teaches MKT 7950: Business and Sustainability. She has served on several Ph.D. dissertation committees. Tangari is on the editorial boards of the Journal of Business Research and the International Journal of Advertising. She serves on the Ilitch School's Faculty Senate and has chaired the Undergraduate Education Policy Committee since 2015. "Professor Tangari has a growing reputation in her primary research domain, her teaching scores are very high and her service to the profession is strong," said John Taylor, chair of the department of marketing. Amanuel Tekleab was promoted to full professor of management. He joined Wayne State in 2006. Tekleab has published 21 articles, 11 of those post-tenure, and is frequently cited. Many of his published, under review and ongoing papers are with doctoral students, illustrating his commitment to quality research and the development of future researchers. He is actively promoting and developing his research network with over 50 conference presentations and invited talks, an average of more than two per year. He has received numerous research awards from Wayne State, national conferences and from the management discipline. According to Christine Jackson, chair of the management department, "The breadth of approaches Professor Tekleab utilizes to conduct his research is truly impressive. Conducting research that is primarily field-based, longitudinal in nature and at multiple levels provides a rigor that is often missing from the typical scholar's research portfolio." Tekleab teaches an extensive portfolio of courses from undergraduate to doctoral levels. His effectiveness as a teacher at the doctoral level is evidenced by students selecting him to serve as their dissertation chair, as well as their successful dissertation defenses and eventual employment as assistant professors. He received a Distinguished Teaching Award from Wayne State in 2012 and the Best Business Professor of the Year award from the Ilitch School's Student Senate for 2008-09. Tekleab frequently serves on Ilitch School committees, including hiring committees for five positions over the past two years. He has predominantly held the management Ph.D. advisor position since its inception eight years ago. He also serves on a plethora of other committees within the department, school and across the university. In support of the larger research community, he is on several journal review boards and has been an ad hoc reviewer for at least 16 different management journals during his time at Wayne State.